This historical beachside suburb has a rich history. But the so-named “place of thunder” doesn’t have to come with lightning! 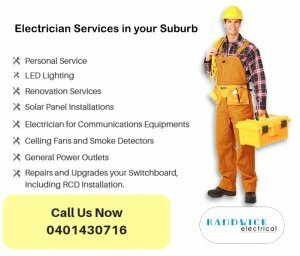 Avoid electrical problems—Randwick Electrical Services is proud to service Maroubra and keep your home or workplace running smoothly. We can screen your property for problems before they happen. Here’s a few more reasons to choose us as your electrical team. Randwick Electrical provides you with efficient and intelligent electrical solutions, and we will always provide you with honest and trustworthy advice. If you need professional electricians to carry out your home or business job properly, contact Randwick Electrical. Device malfunctions, damaged cords, faulty wiring and tropical storms can all cause emergency electrical situations. The team at Randwick Electrical is prepared to take care of your emergency electrical needs with ‘round-the-clock service. To feel the difference of working with electricians that are truly local, call Randwick Electrical for repairs, new projects and consultations. Because we understand where the Eastern Suburbs came from, and what their future looks like. We want people to have the power they need to live a quality life and achieve their goals. That’s one of the reasons why Randwick Electrical gets consistently high ratings on True Local. Call Ryan on 0401 430 716 for all your Maroubra electrician needs, whether it’s a large-scale renovation of your home or custom lighting for your back patio to keep the beach parties going late.